To become a fashion designer, draw up a personal trendy clothing line and sell it in one’s own luxurious boutique – as of now these dreams can come true with Goodgame Fashion. Everybody who always wanted to follow in the footsteps of famous fashion designers now has the chance to produce and design tailor-made clothes, refined accessories and delicate jewelry in their virtual shop. Paris, Milan and New York are so yesterday, the internet is the new place to watch for hip fashion. 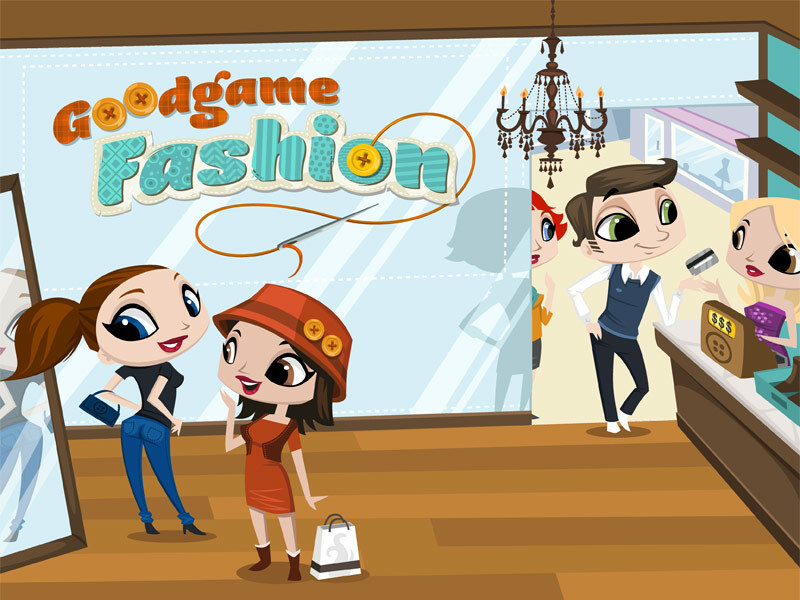 The free browser game is waiting at http://fashion.goodgamestudios.com for future trendsetters and clever vendors. After deciding on the looks of his avatar the player starts the rocky path to his own fashion empire in a small shop with a few shelves, three employees and 10,000 Fashiondollars seed capital. These have to be augmented by creating the first simple pieces of clothing, producing and selling them. With growing success more and more patterns and fitting accessories can be confected. But pure inspiration shouldn’t distract from the business side. All needs of male and female customers should be met by keeping shelves stocked with products for both genders: from the plain white shirt to drainpipe jeans and glamorous evening gowns. Handy handbags, stylish caps, precious wrist watches and chic shoes also make the customers happy. In order to become a real star within the fashion scene many tasks have to be performed. Growing consumer demand requires new employees, shelves have to be kept stocked and mannequins need a new look on a regular basis, otherwise customers wander off to the competition fast. With good management on the other hand, the store will soon thrive and prosper. Busy fashion designers will not only earn experience points and Fashiondollars for their success but also receive achievements and bonus points. When enough money is available the store can be revamped or individually beautified with pretty decorations. Regular extensions and new items guarantee much diversion and long-lasting fun for the player. Working together with other players from all over the world also pays off: An important element of the game are co-ops, in which several players cooperate to produce a certain number and combination of clothing items in a given time. Moreover, users can communicate with each other, find like-minded friends, visit others’ shops and compare their progress in a ranking. The ninth social game of Hamburg based developers Goodgame Studios keeps up the high standards of its successful predecessors like Goodgame Poker, Goodgame Mafia or Goodgame Café. The merry and colorful comic style graphics and loving animations make the game an eye-catcher for the whole family. The game is easy to play and suitable for all age groups. All of Goodgame Studios’ flash games are free to play and completely browser based with no need for the installation of additional software. So far Goodgame Fashion is available in German and English, further translation will follow. Since the game’s release in mid-February 35,000 fashion followers already registered. And with Goodgame Magic City, that will take players into a world full of magic and dangerous monsters, the tenth casual game will soon be launched.